In 1993, Casio decided to release their very first Frogman with a code Frogman DW-6300-1A. The DW-6300 series adopted the asymmetrical design inspired from submarine hatchcover and widely known as First Generation Frogman. In June 1995 a second generation Frogman model was released, the DW-8200.From then on the Frogman became very popular under G-Shock collectors and many special editions have been released. The DW-8200B-9A is a frogman king where for the first time casio introduce frogman image in backlight. The King (DW-8200B-9A) can easily cost you more than USD500 to own now. In 1997, G-shock marked another milestone with its first collaboration with WCCS (World coral-Reef Conservation Society / World Coral Reef Protection Association). G-Shock introduced Men in Yellow for the first time. In 1998, G-shock continues with its collaboration with W.C.C.S. with 4 more models. In April 1999 the DW-9900 model was introduced. This Frogman was slightly smaller than the DW-8200. The DW-9900 seems to be a less popular model, the FROGMAN word is on the right of the bazel. 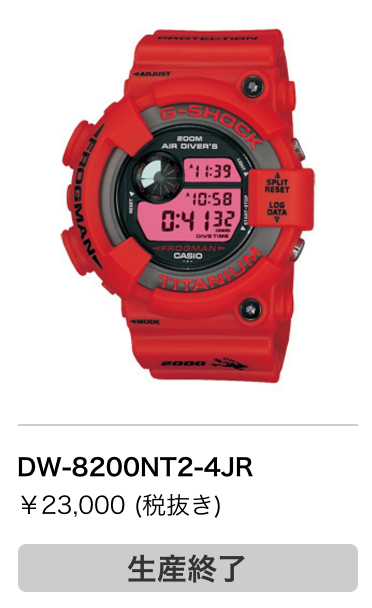 In 1999 and 2000, G-shock continues with DW-8200 and DW9900 models. Towards millennium Year 2000, G-Shock introduces Men in Navy and Khaki. The DW-9900 seems to be a less popular model as it was soon followed up with the solar-powered GW-200 models in June 2001. 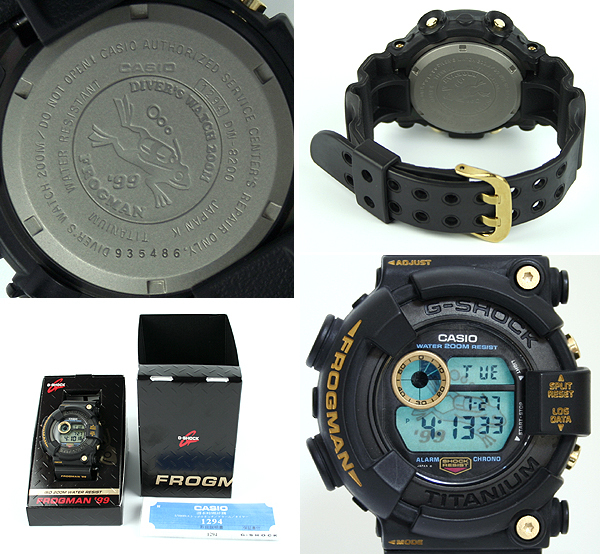 Frogman DW-8200NT2-4JR : March 2001 [Frogman 2000, Special Edition II]. 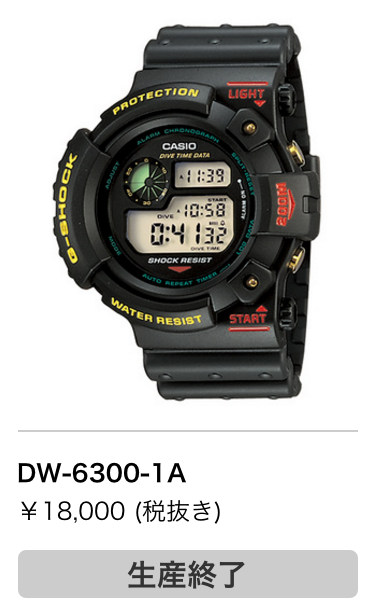 This is the last DW-8200 model before G-shock introduce new Frogman GW-200 series. 5 Models known as FROGMAN’99. To commemorate the FROGMAN of the 20th century, with each model band, back engraved, and finished in a special model that has been subjected to character of “’99” to the EL backlight. Kindly refer for the image above for Frogman ’99. 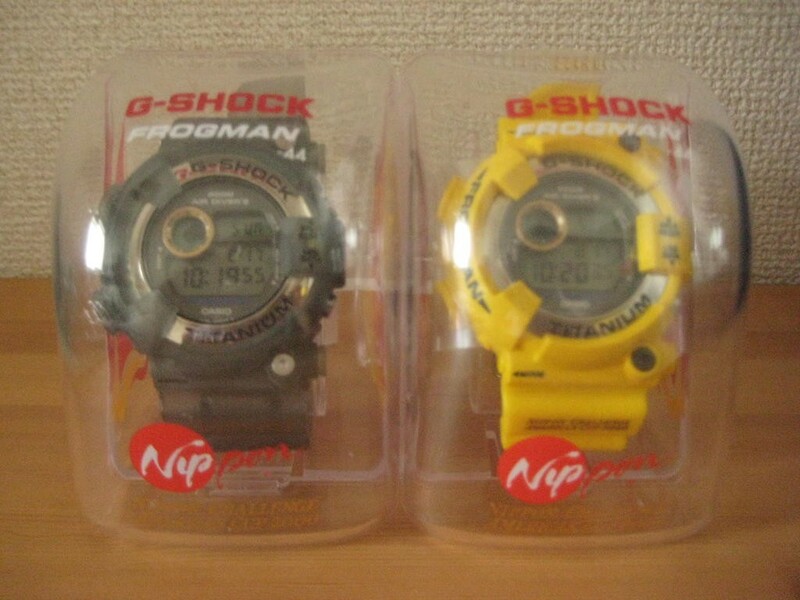 In 2000, G-Shock released An America’s Cup x G-Shock collaboration Frogman. 2 models were made available which is DW-8200AC-8T and DW-8200AC-9T. In April 1999 the DW-9900 model was introduced. This Frogman was slightly smaller than the DW-8200. For the next two years both DW-8200 and DW-9900 models were produced. A unique model in the Frogman lineup is the limited edition MRG-1100-2. 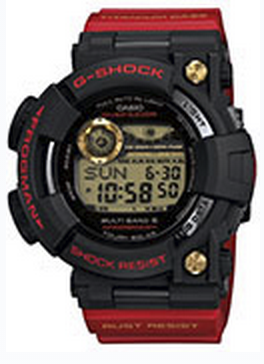 This model was part of the MR-G series, a high-end G-Shock line of metal watches. While all other G-Shock models are constructed with resin bezels and straps, the MRG-1100-2 is constructed completely of titanium. It was retailed at ¥70,000. 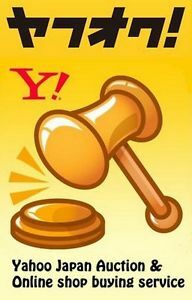 Read here for the review. Read also the next GW-200 Frogman Model.